There’s not too many things I love more than Sunday breakfast. I just got back from a long trip in Puerto Rico, and before I left I was trying to use up everything in my fridge! I ended up making this on a whim and it was super delicious. 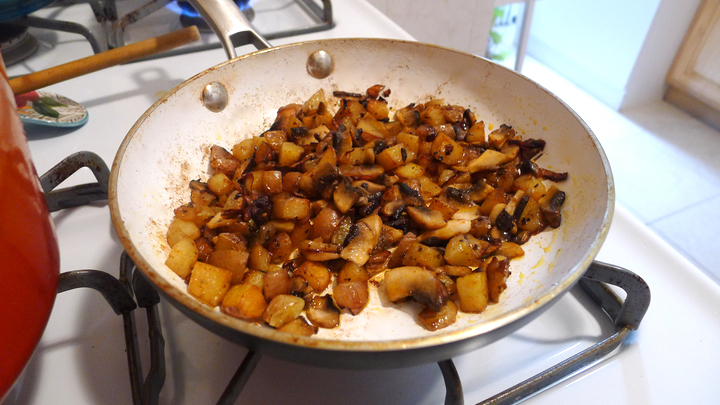 The potatoes were crisp and mushrooms added a nice texture. And the egg with the hollandaise brought it alllll together. Sometimes the best meals are made with the random ingredients you have in the fridge! 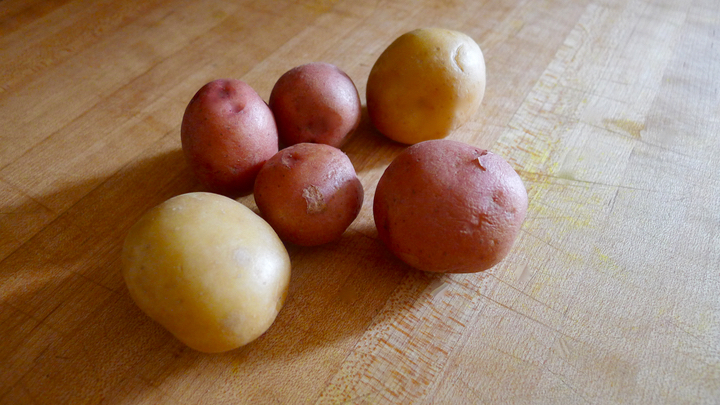 Boil the potatoes until slightly fork tender but still a little firm. You don’t want to overcook them or they’ll break up when you sauté them in the pan. Remove and set aside. 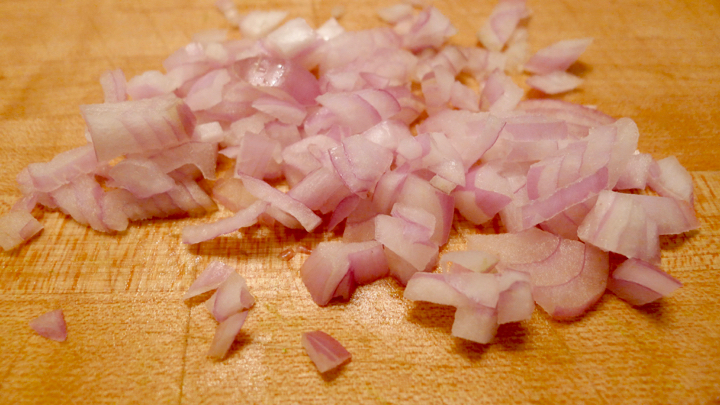 In a small pan, sauté the shallot in some olive oil until softened, about 2 mins. Add the potatoes, paprika, salt and pepper. 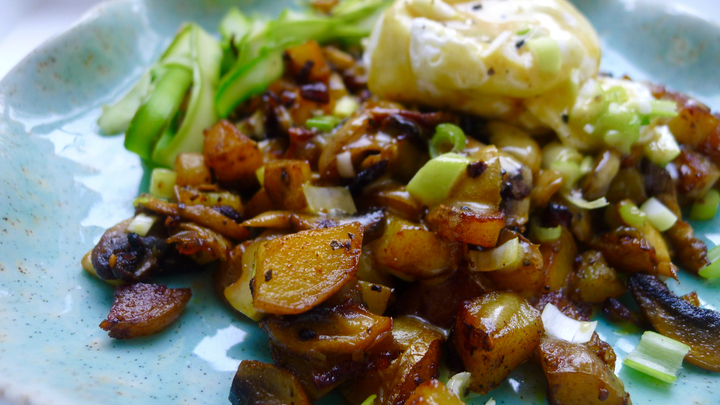 Cook for about 5 minutes, then toss in the mushrooms and green onion and continue cooking for another 5 mins – or until the potatoes are golden brown and the mushrooms are softened. 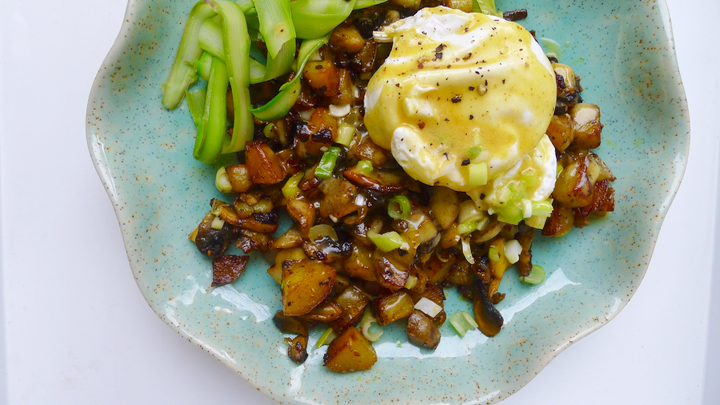 While the hash is a cookin’ start making the hollandaise. Add about two cups of water to a pot and bring to a simmer over low heat. Melt the butter in the microwave and set aside. 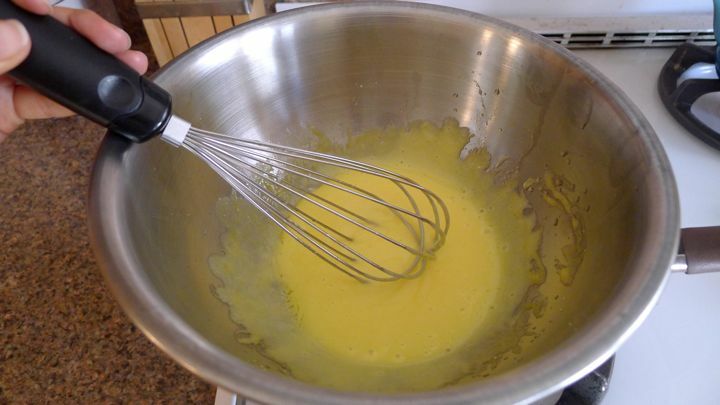 In a metal mixing bowl, add the egg yolks and lemon juice then whisking vigorously until it thickens and almost doubles in size. Next, place the metal bowl on top of the pot with the simmering water and turn off the heat. Immediately start whisking very fast, slowly pouring in a tablespoon or so of the melted butter. Whisk vigorously the entire time! Add a little more butter and repeat until all the butter is added. Make sure to do just a little butter at a time. Set aside and whisk in a little black pepper, cayenne, and a sprinkle of lemon juice. To poach the egg, boil some water in a medium sized pot. Add about a teaspoon of apple cider vinegar (will help make it fluffy) and gently pour in the egg. 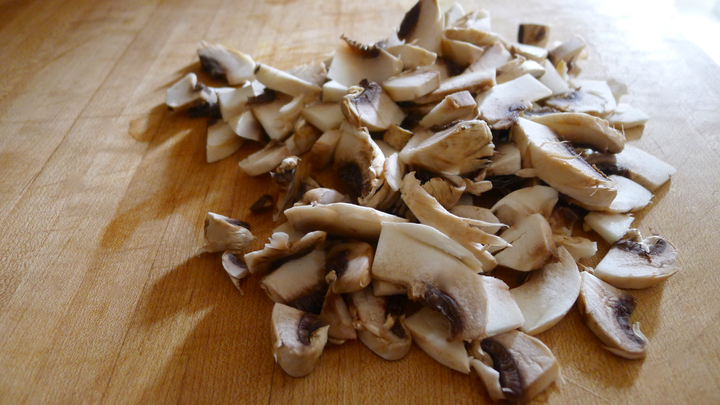 Cook for about 30-60 seconds before removing with a slotted spoon. I usually lift my egg slightly out of the pot and gently poke the centers until it feels a little firm but runny in the center. To assemble, plate the hash and top with the egg and hollandaise sauce! I had some asparagus around as well, so I shaved that and quickly blanched it for about 30 seconds in the hot water then sprinkled with rice wine vinegar and a crack of pepper to eat on the side.